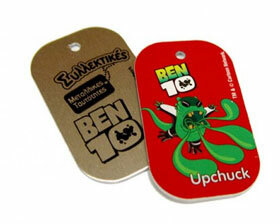 Classic tags are designed in the shape of military tags and they can be accompanied with a neck-chain. They can be printed in one or two sides of the medal surface, using high standards of printing. They may include thematology from collectibles, especially design for children and teenagers, or even further they may have various characteristics based on a game's story. 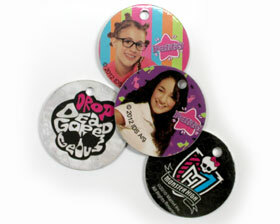 Tags that are oval shaped and they can be accompanied with neck-chain, synthetic or leather string material. They can be printed in both sides of the metal surface, using high standards of printing. They can include thematology of collectibles, especially design for children and teenagers, or even further they may have various characteristics based on a game's story. 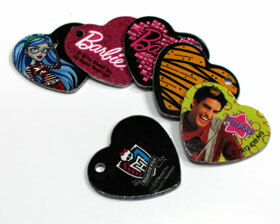 Tags that are heart shaped and they can be accompanied with neck-chain, synthetic or leather string material. Moreover, they can be printed in both sides of the metal surface, using high standards of printing. They can include thematology of collectibles, especially design for girls. 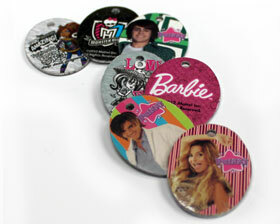 Tags that are round shaped and they can be accompanied with neck-chain, synthetic or leather string material. Moreover, they can be printed in both sides of their metal surface, using high standards of printing. They can include thematology of collectibles, especially design for children and teenagers, or even further they can have various characteristics based on a game story.